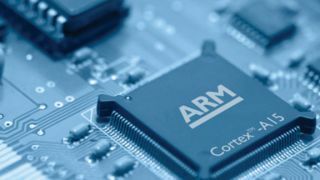 Hours after ARM unveiled the replacement of the Cortex-A12 and its new mid-range champion, the A17, Mediatek surprised everyone by unveiling the MT6595, the first product to be powered by these cores. However don't expect it to appear anytime soon. Mediatek says that the devices are expected to appear in the second half of 2014 while ARM stated that the first products based on the A17 are likely to appear this time next year, possibly at MWC 2014. The MT6595 is hailed by Meditek as a solution that offers "a premium user experience at a very affordable price" but is still the company's fastest SoC to date. It packs four Cortex-A17 coresat up to 2.5GHz and four Cortex-A7 clocked at 1.7GHz. It supports ARM's big.LITTLE architecture with an integrated 4G LTE multi-mode modem. Since the A17 is expected to be faster than the A9 and as fast as the A15, it wouldn't surprise us if the MT6595 manages to outpace the Qualcomm Snapdragon 600 or even its bigger brother, the Snapdragon 800. Mediatek says that the device also boasts an I.T PowerVR Series 6 Rogue GPU, one that is also featured in the iPhone 5S. Other notable features include NFC, Bluetooth 4.0 LE, an integrated H.265 Ultra HD 4K decoder, support for a 20-mp camera and a 2,560 x 1,600 display, 802.11ac and wireless charging. Speaking of power consumption, the MT6595 will use an "advanced scheduler algorithm" with "adaptive thermal and interactive power management" courtesy of MediaTek to save power and deliver better performance-per-watt.